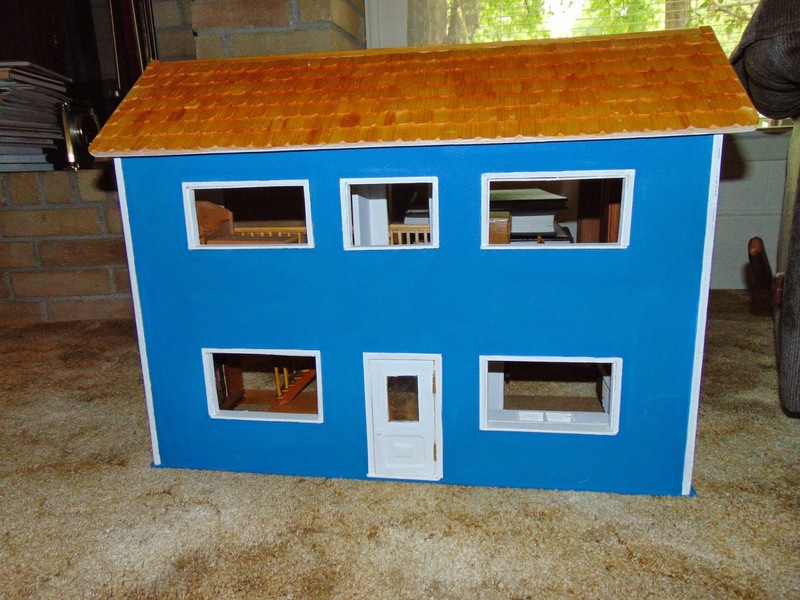 We’re saps for the grandchildren, and Hubby recently built a dollhouse. I was to do the “decorating” with fabrics, but didn’t get it done before the grandkids came to visit. 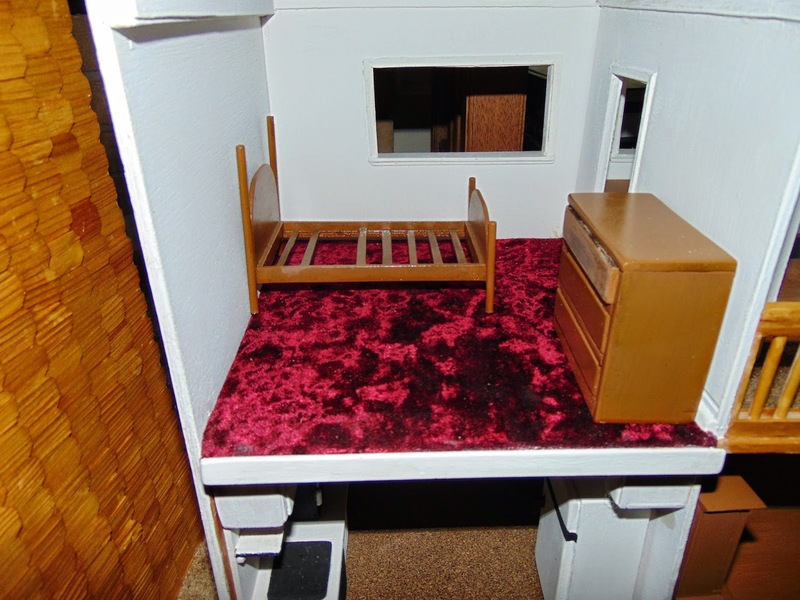 They liked the dollhouse, even without the fabric accessories, but the bed was a little uncomfortable since the action figures had to sleep on slats. I measured the bed before they left and promised that I’d make a mattress for it, and maybe a bedspread. 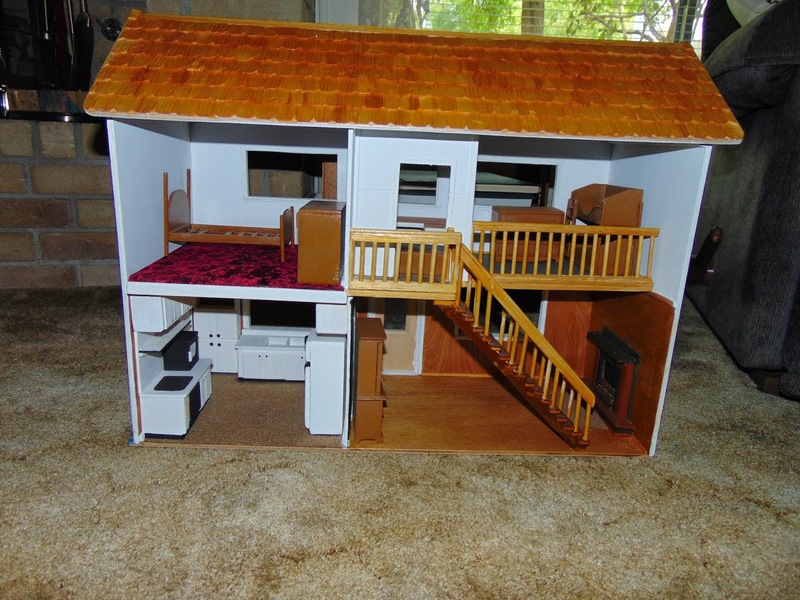 If you want to accessorize your dollhouse, accessories are available at retail, but nothing is easier than making them, with some practical applications. Here’s how I made the mattress and pillows, all in one piece so they stay together and don’t get lost right away. The bed is about 3 1/2 inches by 5 1/2 inches on the flat part, so I cut a piece of fabric folded at the top. I used a rotary cutter, but scissors work fine. 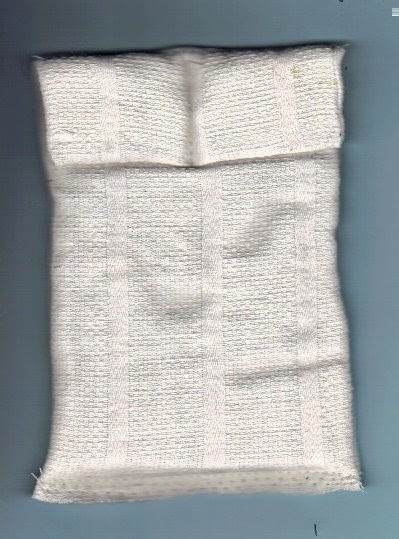 The measurements for the fabric are 4 1/2 inches wide and 7 1/2 inches long. 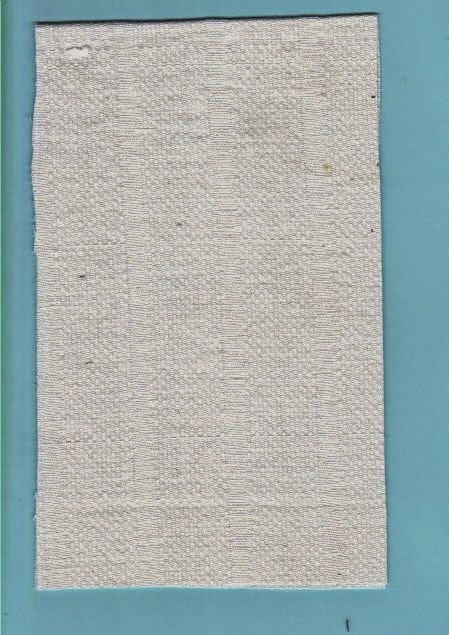 Since it’s folded at the top, that makes a piece of fabric that is 4 1/2 inches wide and 15 inches long, but we’ll work with it folded. I also cut some cotton batting that’s about 4 1/2 by 7 1/4 so it will end at the bottom before the fabric ends. Turn the fabric so the right sides are together and wrong sides are out. 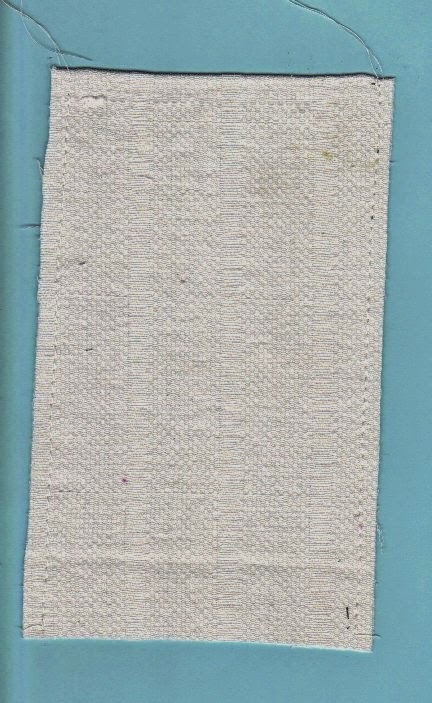 Lay the batting on the outer fabric. Stitch down each side at about 3/8 inch width. 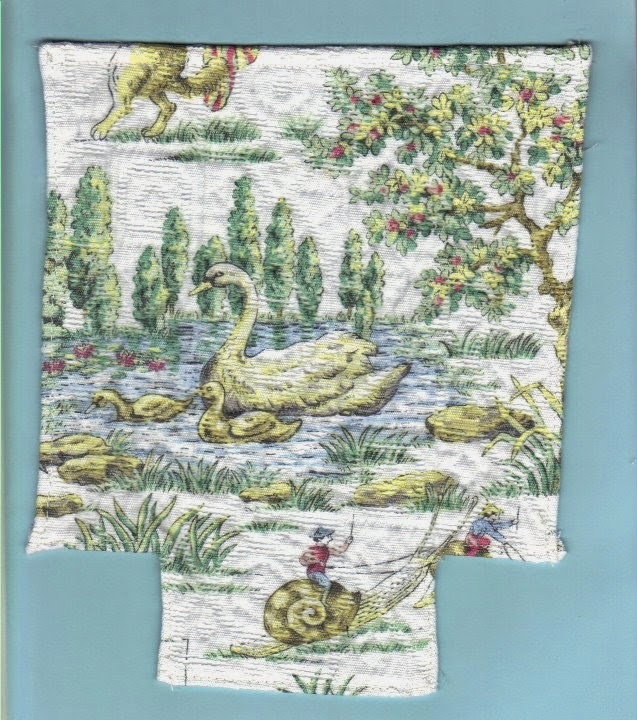 Turn the fabric to the right side and stitch about 1 1/4 inch down from the top across the width. This will make the “pillows” connected to the mattress so they won’t get lost. 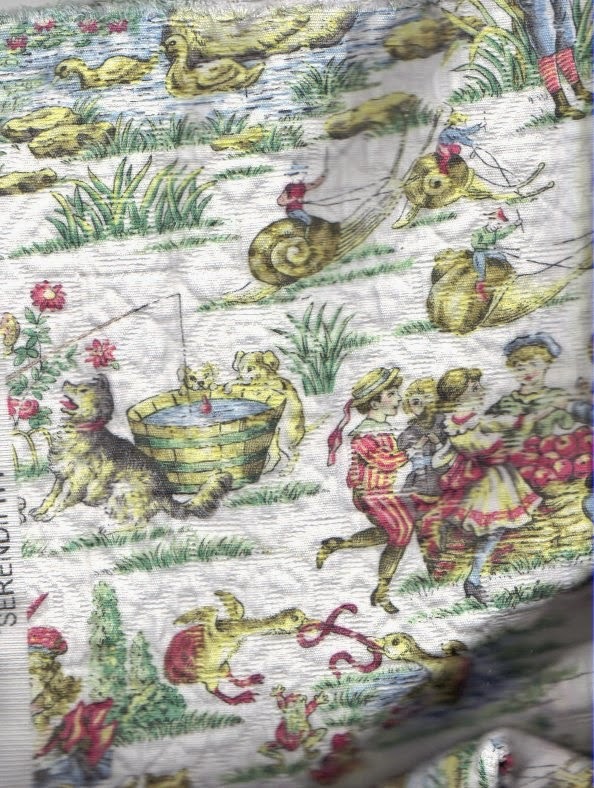 Fold at the new stitching line. Stitch down the center to divide the pillows. I didn’t stitch the pillow sides -- the action figures might want to cover their eyes. Stitch the bottom closed. I used a straight stitch and went back over it with a zigzag stitch. Be sure you remove all pins. Of course we needed a bedspread to go over the mattress. 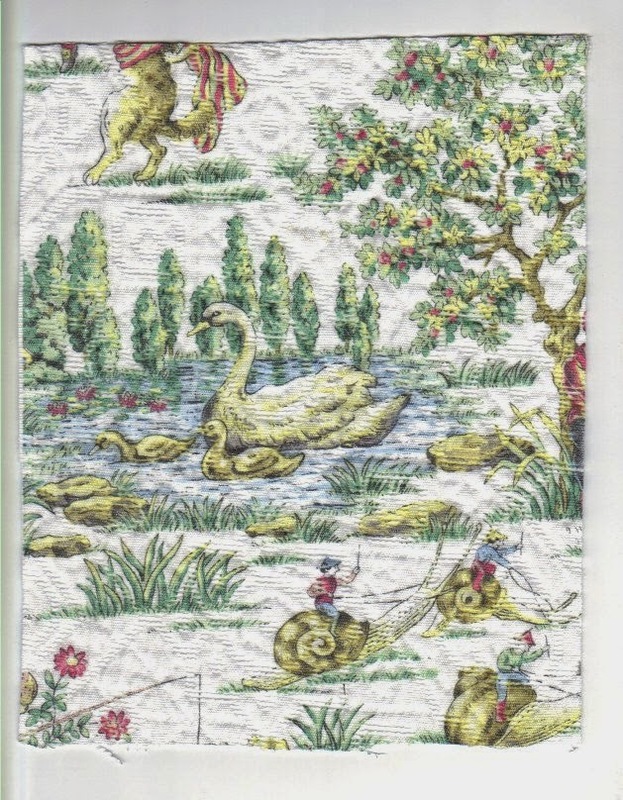 I chose a heavy fabric with a one-way design, and cut it so the swans on the pond would be the center. This is a fussy cut in quilting, where the center is a chosen shape or design. I added 4 inches to the size of the bed for the overhang. Measure the height from mattress to floor, since some beds are high. My cut rectangle is 7 1/2 by 9 1/2 inches. Because the bed has a wooden footboard, I cut about 2 inch squares out of each bottom corner so the bedspread can be used with a four-poster and will hang correctly with a foot board. I cut a diagonal slash at the inside angle so the seam would lie flat. A few stitches all the way around and the bedspread is ready to tuck in at the bottom of the mattress and pull over the "pillows." See you soon with more needlework or stitching.